The Aqua Strider is a drop from the rare elite mob Nalash Verdantis. 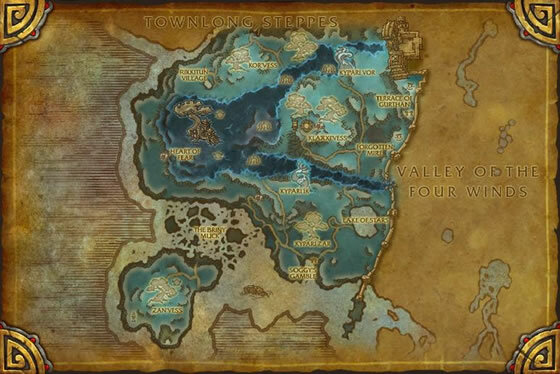 This NPC can be found on and island in the middle of the Lake of Stars in the Dread Wastes. Nalash is not hostile prior to engaging him in combat. Once the encounter starts, he will use three abilities, one of which can and should be avoided. The NPC can be interrupted and stunned. Just got this today, first try, thank goodness. So cute!! Curious to try him in battle. Not very strong but it makes up for it in speed. The Hollow Reed dropped at my 10th kill today. With an add-on like RareFinder that makes a sound whenever a rare appears, I was able to work while waiting for respawn with WoW in the background. Respawn rate seems to range from 40 minutes to 1 hour. Watch out for the Rain Dance; even at lvl 100, if you don't kill Nalash fast enough, that spell will most likely kill you. Took me about 20 kills to get this one and Grinder. B/B breed. Nalash is easy to kill at 100 now, but you still have to be careful of the Rain Dance. Fight him in the water and interrupt Rain Dance if you can. Easiest way to farm this is sign up for any premade groups listed so you can check other realms. I'd recommend also farming Grinder at the same time as the Aqua Strider, since its a short fly away. Good luck! I found this neet little guy in AH can't remember what i spent. A good little battler. After 50+ kills of Nalash, he finally gave up his pet for me today. So happy to finally have this little cutey of a pet. Nalash himself is easy to beat, just stun him on his rain dance, and interupt his torrent, and he goes down pretty fast. If he happens to get the rain dance off, just jump into the water as others have suggested. Happy hunting all. Fight Nalash in the water, his Rain Dance hits the lake bottom, not you. I died sveral times on Nalash before discovering that his Rain Dance is fairly easy to avoid by running in circles around him (my method for all raid bosses, lol!). Tip for dks: use death grip to interrupt his Rain Dance. At that point he's a breeze. Save your silences for Torrent and he's simply a long fight, not a killer one! Don't know what's up with this pet, but his miss rate is ridiculous. Just saw his speed at 25... This is one freakishly fast pet! A black strider with a fast breed. Typical skill-set, but he looks nifty. This one I had started to farm for him I was able to kill him twice per day depending on how early in the day I woke up. He's a rare spawn but won't attach unless you start it. Also the pet can heal himself which is cool. I got it as a gift in the end, but still something that would take time to get. The ability to stun or interupt makes the fight much easier! I personally have given up on this pet. There's a misspelling of the item name that summons this pet. It's the "Hollow Reed" not "Hallow Reed". Edit: This is now fixed. Tips for soloing the rare that drops this include: save interrupts for Torrent and stuns for Rain Dance. If you're Revered with the Klaxxi, the Raining Blood Klaxxi Enhancement is awesome as it does 200-300K damage when the DOT explodes. Mind controlling minions is great as well to help make killing this guy a breeze. :) Finally got mine today and it went faster than normal due to the Raining Blood Enhancement. Though it says BoP, this pet can be caged once learned and traded/sold. 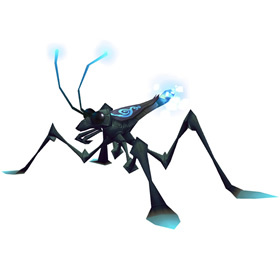 Water striders serve an important role in Jinyu culture, acting as a mount, means of sending communications, and even a family pet.